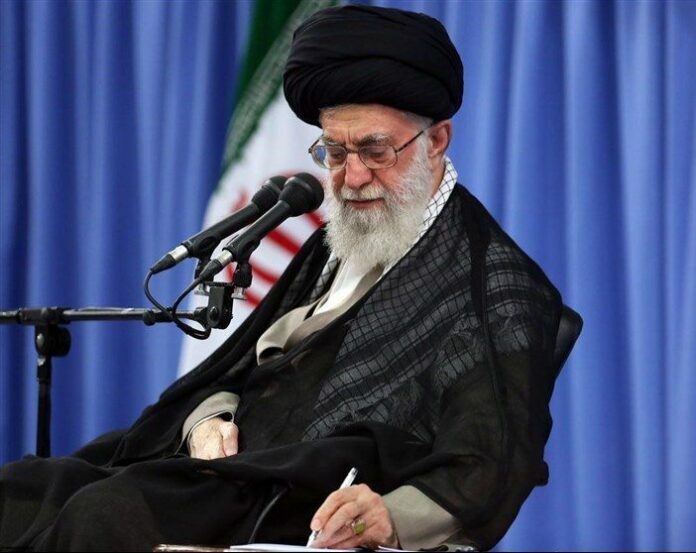 The Leader of the Islamic Revolution strongly slammed “murderous” Saudi rulers for refusing to allow an international probe into last year’s deadly Mina crush, urging Muslims to “correctly understand their (Saudis’) blasphemous, faithless, dependent and materialistic nature”. In a message to the Hajj pilgrims posted on the Leader’s official website on Monday, Ayatollah Seyyed Ali Khamenei described the ritual pilgrimage as a “heavenly, earthly, divine and communal obligation”. Those who have reduced hajj to a religious-tourist trip and have hidden their enmity and malevolence towards the faithful and revolutionary people of Iran under the name of “politicizing hajj”, are themselves small and puny satans who tremble for fear of jeopardizing the interests of the Great Satan, U.S.
Saudi rulers, who have obstructed the path of Allah and Masjid ul-Haraam this year and who have blocked the proud and faithful Iranian pilgrims’ path to the Beloved’s House, are disgraced and misguided people who think their survival on the throne of oppression is dependent on defending the arrogant powers of the world, on alliances with Zionism and U.S. and on fulfilling their demands. And on this path, they do not shy away from any treason. Their propaganda mouthpieces- from the politicians whose behavior towards the Zionists and U.S. is a source of disgrace for the world of Islam, to impious and haraam-eating muftis who blatantly issue fatwas against the Book and Sunnah, and to media minions who are not even deterred by codes of professional conduct from spreading and telling lies- are making futile efforts to show that the Islamic Republic is at fault for depriving Iranian pilgrims of this year’s hajj pilgrimage. Based on reports, this year as well, besides barring the participation of Iranian pilgrims and pilgrims from certain other countries, they have placed pilgrims from the participating countries under unprecedented surveillance with the help of the spy agencies of U.S. and the Zionist regime. They have made the divine sanctuary unsafe for everybody.